Pack your suitcases and jet off on an epic adventure to some of the planet's most thrilling destinations. 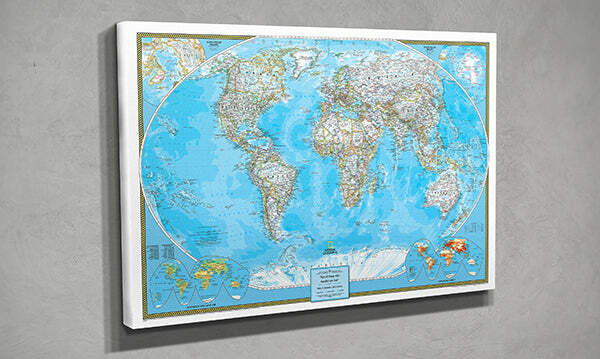 Upon returning home, pin your world travels on your stunning Gallery Wrapped Classic World Travel Map. We have partnered with the experts over at National Geographic to personalize and print this vivid map of the world on premium canvas and gallery wrap it to create a modern, frameless art piece that you will cherish for a lifetime. This highly detailed map has a rich canvas texture and an easy to read color palette. Topographical terrain is also on full display while the majestic blue oceans highlight ocean depths. Once you hang this Gallery Wrapped Classic World Travel Map in your home, office or business, you will see how it instantly becomes your favorite conversation piece as you swap travel stories with visiting friends and family. 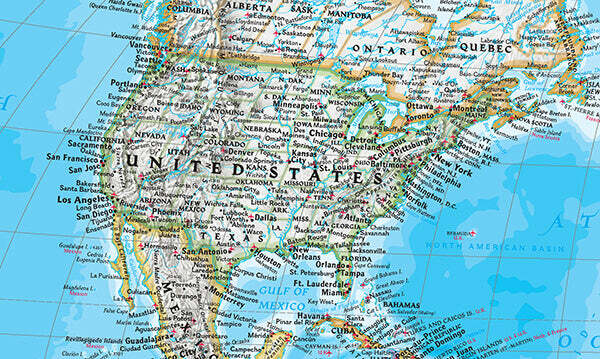 Customize your map to make it your own with one of our 6 unique personalization options. Gift this frameless world map to your travel obsessed loved one and see their eyes light up as they start reminiscing about past travels and dreaming up future adventures! We realize that one personalization design does not fit all! 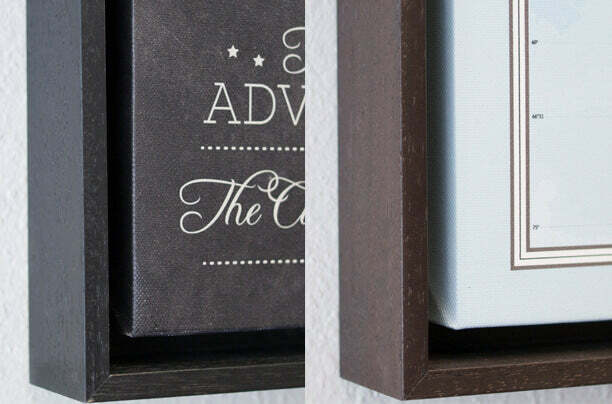 That’s why we have created 6 unique personalization templates for our gallery wrapped canvas maps so you can truly make the map your own! Select the option you like best from the drop down menu above and enter your text in the designated box. Keep an eye out on your email (and spam folder) the next few days in case we have some questions about your personalization.